It’s the adult version of a kid in a candy store. Things that you just have your eyes set on because they would just make things easier, better, or more fun. I shop my own “mental store” of shiny objects all too often. Aisle 1- A shiny new, white four door Jeep! I can picture myself having lots of fun, carefree summer drives. Aisle 2- A Dyson, Supersonic hair dryer. Because I hate drying my hair and would love anything to help cut down on that time. Besides, that thing just looks cool! Aisle 3- A brand new RV complete with one of those trendy outdoor kitchens… and a place for a flat screen tv of course! This RV at our favorite campground had a slide out PORCH so of course I had to take a picture for my mental someday store! I don’t think there’s anything wrong with shopping in your mental shiny object store from time to time. But I’ve also found an exercise to help overcome shiny object syndrome. It’s simply thinking through what impact that shiny object will have on your life when the new is worn off. Aisle 1- That shiny new Jeep comes with a not-so-shiny monthly payment that increases stress and possibly more work hours, which means I don’t even feel like taking a summer drive. The trade off is not worth it. Aisle 2- As much as I detest hair drying, it is a set time every morning where I can clear my mind. It’s a rare moment when I can just do one thing before I start a busy day filled with multi-tasking. That’s not such a bad thing. 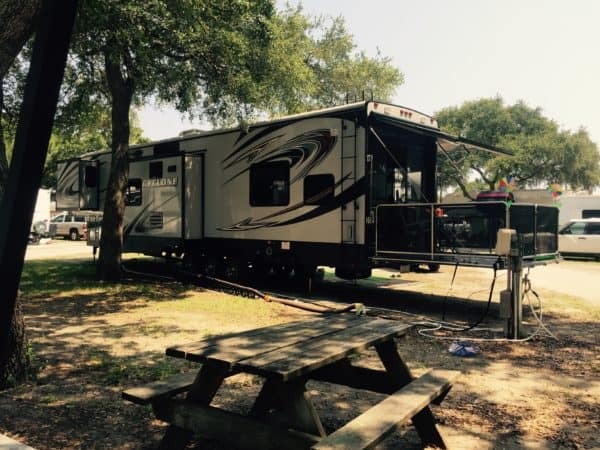 Aisle 3- A bigger RV comes with the need for a bigger truck, more costs to maintain it, and it’s camping… the purpose is to spend most of the time outdoors anyway! We’ve all gotten shiny objects from time to time. It’s not that all shiny objects are bad. It’s just we need to be sure we can afford it and we’re buying it for the right reasons other than the “cool factor” or to keep up with the Joneses. Otherwise, we’ll go into debt for something that we think will make life easier but actually ends up making life much harder. Instead, focus on those things that money can’t buy. Those are the things that bring long lasting joy, such as time and experiences with the people that matter most to us. There’s not any shiny object worth trading for those experiences! 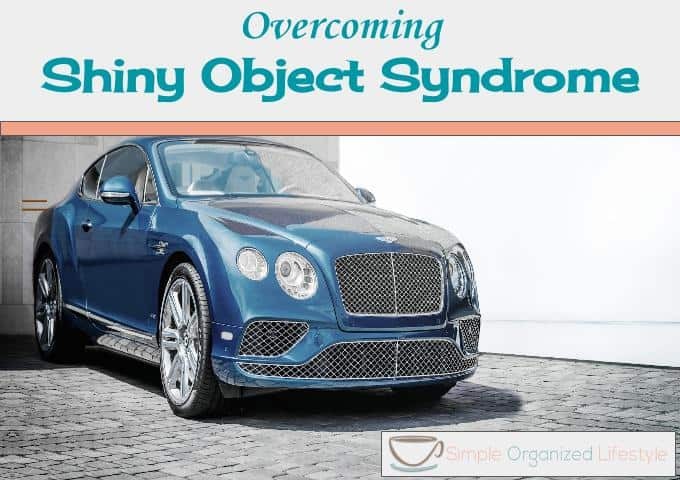 Have you found any tricks to help overcome shiny object syndrome? If so, please share!